Pretty Peg is in the world! And hats. And zombies. 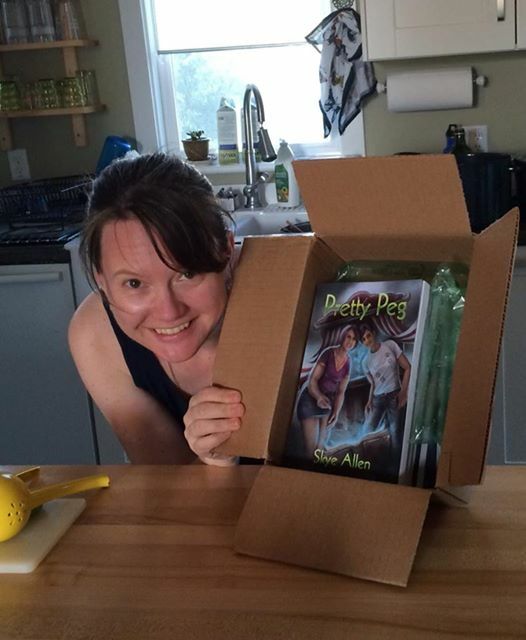 My book Pretty Peg came out yesterday! My writing group came over for cupcakes and champagne (and writing group). I am so grateful to those guys for helping steer this book. And yeah, I’m happy with how it turned out. And I got to be interviewed about the book and zombies and libraries on The Hat Party! Raine O’Tierney is the best kind of host. Oozing with style and wit but making you feel like you hung the moon. Thanks, Raine!